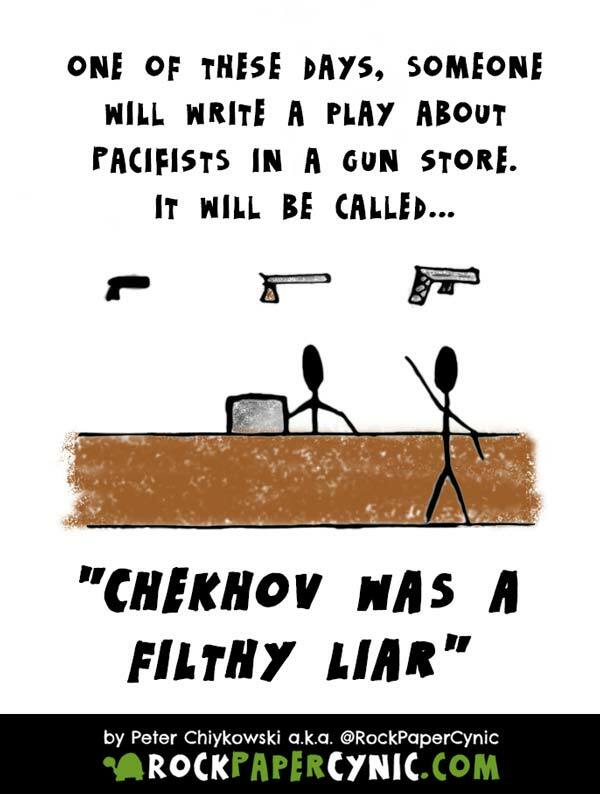 In this play, Chekhov's gun fires out a little flag that says "BANG!" I've had a few requests from people who want to write plays like this. Please, go for it and let me know about it! I'd love to advertise your production when it goes up!